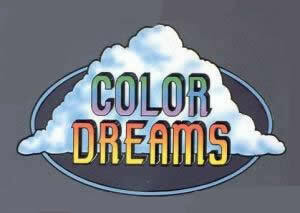 In 1991, unlicensed game developers Color Dreams spun off a label by the name of Wisdom Tree. The new daughter company would go on to release multiple Christian-themed games on several different consoles, arousing considerable attention and controversy. Their first effort, Bible Adventures for the NES, sold 250,000 copies (over 450,000 when combined with all other versions) and sent Wisdom Tree on its way into the history books of gaming. Sega-16 got a chance to speak with Brenda Huff, former sales supervisor for Wisdom Tree. She and her husband purchased the company in 1997 in order to continue work in the Christian gaming community. Today she’s taken the time to answer some of our questions about Wisdom Tree’s offerings for the Sega Genesis. Sega-16: Who came up with the idea for Wisdom Tree, and how did everyone at Color Dreams react to the concept? A. Mike Wilson, a Sunday School teacher in his off time, suggested the Bible-themed games as a way to reach young people without the violence. B. Dan Lawton, the engineer who is responsible for reverse engineering the NES system to begin with, suggested Bible games as a joke. I actually believe it was a combination of the two. Mike kept the idea alive. As they progressed they discovered a niche market, and things went on from there. Sega-16: What made you decide to release games on the Sega Genesis? Brenda Huff: It was a matter of numbers. When the Sega console sales numbers neared fifteen million in the USA, reverse engineering began. Converting existing titles to a new system gave added depth to the sales structure. Sega-16: Did the programmers have any problems bypassing the Genesis security lockout? Brenda Huff: There was always a major problem when reverse engineering any system. If it was easy, other developers would have gone the same route. Dan Lawton was the main force in the reverse engineering of all the different systems. I do not know exactly how difficult it was. As sales supervisor, I always thought it took too long to do everything!! Sega-16: What was your best-selling Genesis title? Brenda Huff: Spiritual Warfare was our best seller in the Sega Genesis format. Sega-16: Did Sega ever threaten legal action against you? Brenda Huff: Not to my knowledge. We did not violate any laws so there was no way they could come against us. It is legal to access a system (VCR, NES, or Sega) if you do not violate any of the copyright laws while doing it. 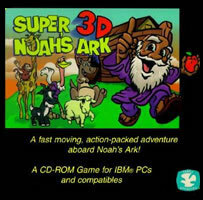 Sega-16: About Super Noah’s Ark 3D on the Super Nintendo… Rumors abound that id Software gave you the engine code for Wolfenstein 3D out of frustration with Nintendo. What can you tell us about that? Brenda Huff: I know that we did have the engine, and that we got it from id Software. Other than that, I have not further information. At that time I was not involved with the nuts and bolts of development. Sega-16: What was it like to release religious titles during a time when violent games like Mortal Kombat were all the rage? Did the shift in gamer’s tastes pose any extra challenge or were sales unaffected? Brenda Huff: Actually, since we were mostly selling to the Christian Bookstore market, it actually helped. We were offering parents and gamers an alternative to the violence of so many other games. We were FAMILY FRIENDLY before family friendly was popular. Sega-16: What’s the story behind Wisdom Tree and Color Dream parting ways? Brenda Huff: StarDot Technologies. Color Dreams development program simply went in a new direction., Digital Carmeras! After launching their first camera, WinCam, in 1996, they chose to focus all of their efforts on development of digital cameras. It was at this time that they offered my husband and I the opportunity to purchase the rights to the WT games. Being committed to keeping the games alive and offering parents a family friendly alternative, we purchased WT in 1997. Sega-16: How has Wisdom Tree fared since the decision to focus development on PCs? Brenda Huff: With 1 out 5 families owning a computer, PC development has proven to be a wise move. Our “classic” style games are still selling well. People who had the cart versions when they were younger are looking for PC versions for their kids. Amazingly enough, I have seen a huge rise in collectors inquiries for anything game related. Boxes, labels, stickers, anything for NES, SNES, GB, Sega. I am out of the actual games except for King James Bible for GB. Sega-16: What is the current state of Wisdom Tree, and what do you have in mind for the future? Brenda Huff: We are continuing to sell all WT product at www.wisdomtreegames.com. We also have an extensive line of Bible-based and educational games that we are promoting. As a member of the Christian Game Developers Association, we are working with a number of developers in promoting their products. We will be exhibiting at the ACSI (Association of Christian Schools International) show in October 2006. We kindly thank Ms. Huff for taking the time for this interview. For more information on Wisdom Tree’s games, be sure to head over to their website and read our article Wisdom Tree: Developers without a License. Photo of Brenda Huff property of Austin Cook.